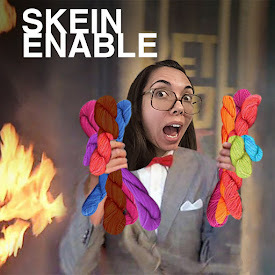 Skein Enable Podcast: Ep. 19 - Ohhh Yeahhh! Ep. 19 - Ohhh Yeahhh! It's been three weeks! We've got tons to talk about! Michele finished her Lyndhurst Cowl in Bernat Multi-Ply. Her rav page here. She also worked on her Black Death shawl by Hoxton Handmade in Lion Brand Heartland. She's also using Heartland to make a Windschief by Stephen West. Jill finished all the things! She completed the Jenica Hoodie out of Cascade Ecological, except for putting on the buttons. 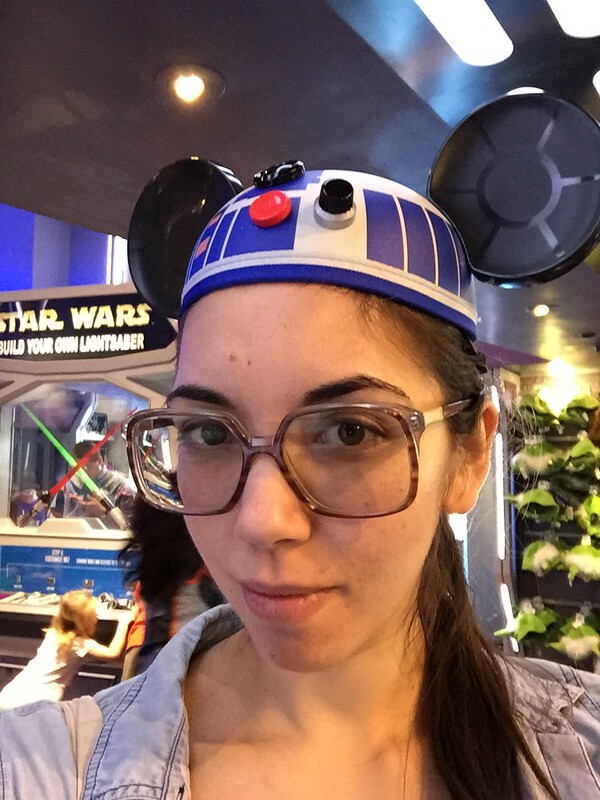 She is trying to "tame the opadoo" with the Indie Designer Gift-a-Long. Her first four finished projects for the Opadoo are: the Jollyoly Hat by Hanna Maciejewska in MadTosh Pashmina in the Stephen Loves Tosh colorway. Her project page here. Her next project was the Persian Curled Toe Slippers by Jenise (Reid) Hope with Knit Picks WotA Superwash in Blackberry (?). Her slippers here. Then the Xenon Mitts by Annie Watts in deep stash Lana Grossa Numero Uno Tweed in purple. Her mitt project page here. Lastly she knit the Oh Christmas Tree hat by Jenny Wiebe in Cascade 220 in green and natural. Her hat project page here. Jill's in-progress projects are the Antrorse pullover by Shannon Cook out of Cascade Eco + and the Aglow shawl by Kristina Vilimaite out of MadTosh Prairie in Candlewick. Michele is stalking all cabled hats and team color hats. She bought the pattern for the Celtic Cabled Beanie by Cecilia Fameli. She'll be using Paton's Classic Wool DK Superwash. She loves the Framed Slouch by Tanis Lavallee. She found some basic beanies to work with her Red Heart Team Spirit skeins, including the Classic Cuffed Hat by Purl Soho and the Team Beanies by the Yarn Twins. She even looked at the Go Team Throw by Bobbi Anderson. Jill showed Michele the Jolly Waves Cowl by Sybil R.
Jill bought the pattern for the Uluru Shawl Collection by Sue Grandfield. She especially loves the first project with aqua and grey stripes and red edging! She is into the Sandpiper Shawl by Laura Aylor. Michele noticed a couple recent Knitty patterns in Jill's queue, the Mishigos cowl by Hanna Maciejewska and the Ribbon Candy Scarf by Xandy Peters. Jill also wants to make the super cute Koala Cup Cozy by Alexandra Davidoff. She will purchase either the Inara Wrap or the Alinta Wrap for the first person who responds in the episode thread on Ravelry. She'll also give away a free pattern from Jennie Santopietro to the first person who replies in the thread.